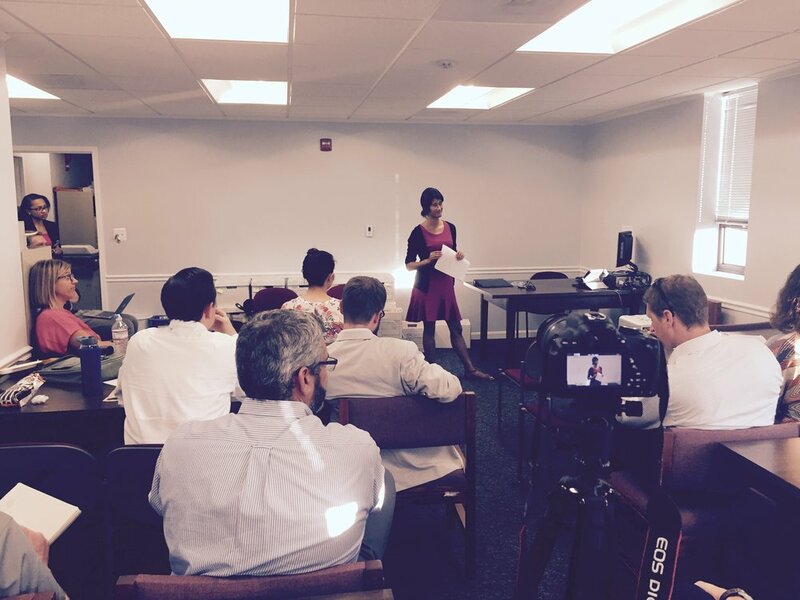 On October 10, 2017, Justice Forward Virginia, the National Association of Criminal Defense Lawyers (NACDL) and the Virginia Association of Criminal Defense Lawyers (VACDL) co-hosted Activism for Busy People, an advocacy training for persons interested in participating in justice reform lobbying efforts during the upcoming Virginia General Assembly session. Elena Langworthy of the Virginia Civic Engagement Table presented to a group of 20 participants -- mostly attorneys -- emphasizing the critical role of narrative storytelling in effective policy advocacy, and highlighting many of the unique features of legislative procedure in Richmond. At the end of the presentation, attendees had an opportunity to brainstorm strategies for making a compelling case for criminal discovery reform to the Virginia legislature. Many thanks to Elena for leading the discussion, and to Monica Reid of NACDL for her hard work in organizing the event. Please email us at justiceforwardva@gmail.com if you'd like more information about the event or future training opportunities.